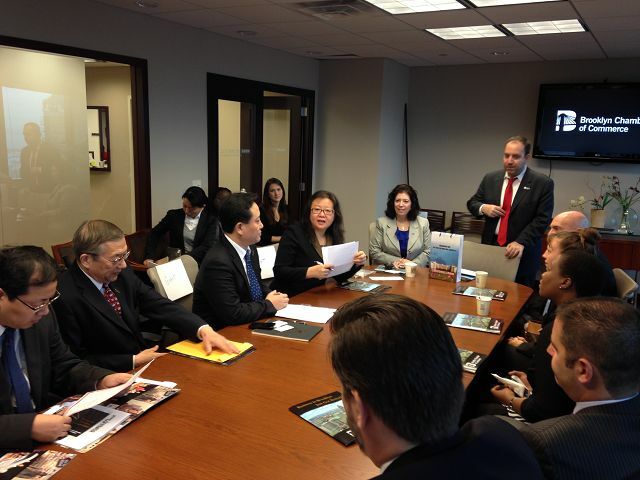 Having led its first New York business delegation to China in 2001, AABDC works together with its China-based New York in China Center to organize visits to targeted cities in China for trade delegations of New York elected officials and business owners. Focused on some of the most important cities of China – Beijing, Shanghai, Chengdu, Dalian, Hangzhou and others – these trips provide participants with an outstanding opportunity to visit and meet with leaders of regions and cities that are keys to China’s economic growth. In partnership with HSBC Bank, The Invest in Brooklyn Trade Mission to China, , provides opportunities for Brooklyn businesses to meet with municipal stakeholders and Chinese business leaders. Additionally the trip is focused on developing foreign direct investment leaders for Chinese companies looking for opportunities in Brooklyn.